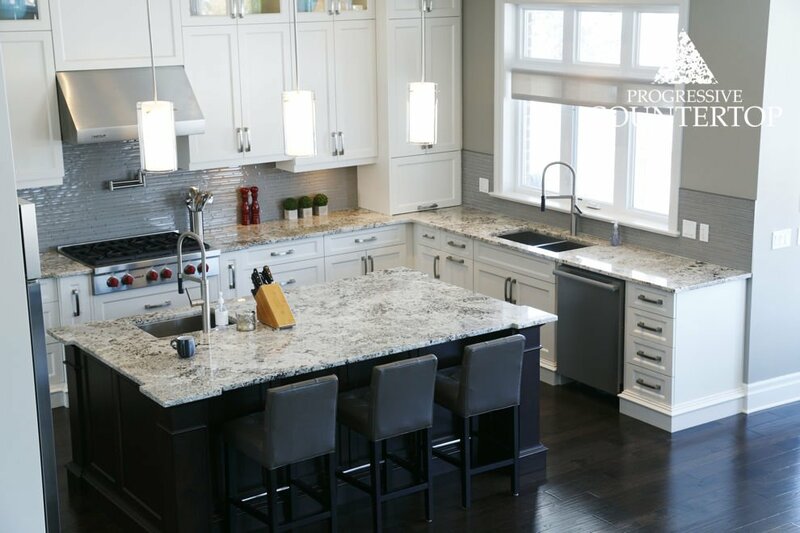 Granite is a popular kitchen countertop material, chosen mainly for its durability. 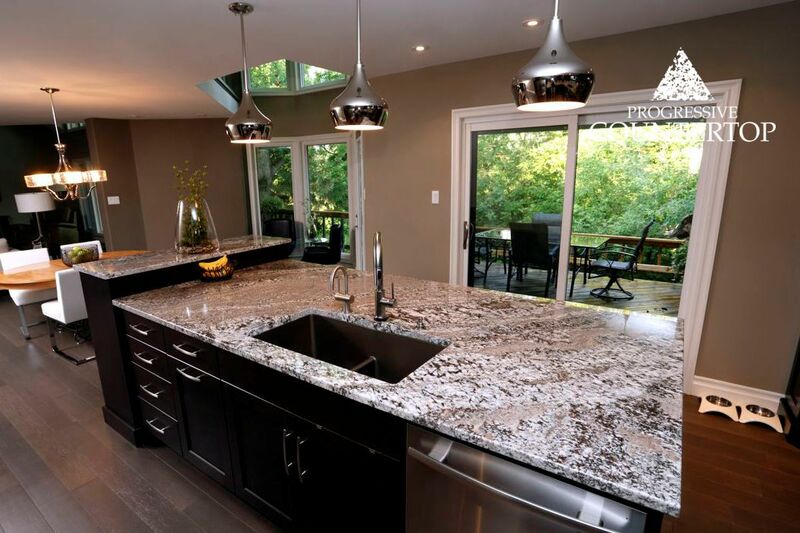 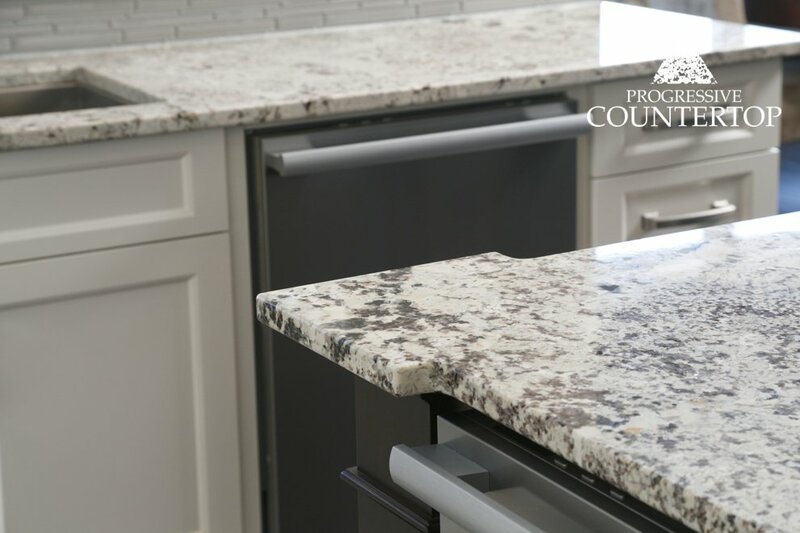 Granite countertops can withstand heavy use and heat – which makes it a great choice for most kitchens! 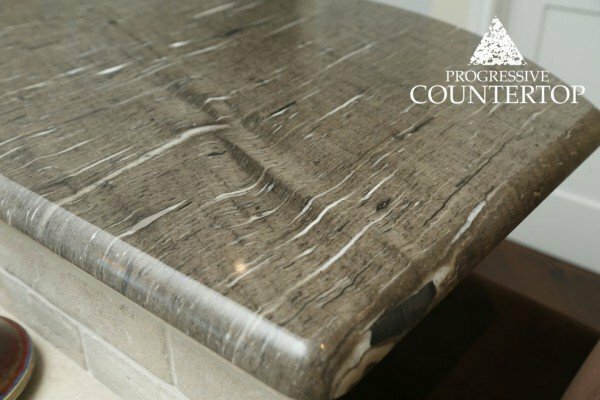 In addition to its durability, granite is unique & comes in a variety of colours, styles and finishes- to suit any ambiance you want to create in your kitchen. 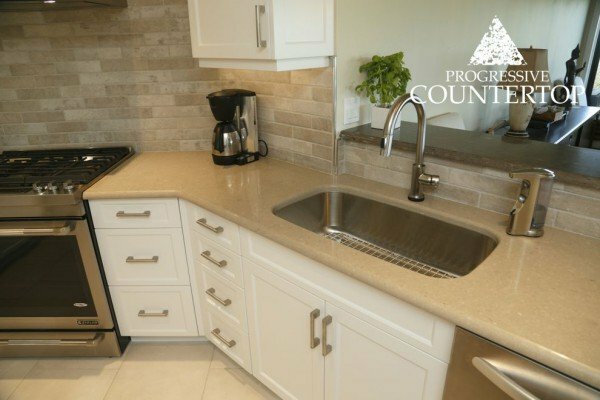 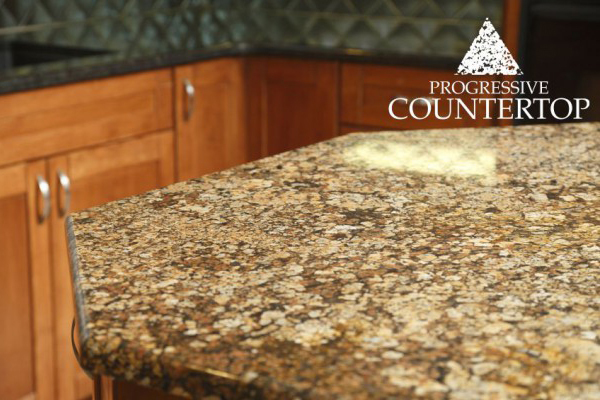 Maintenance – When properly sealed by a professional, like Progressive Countertop, a granite kitchen countertop resists staining & bacteria, making cleanup easy. 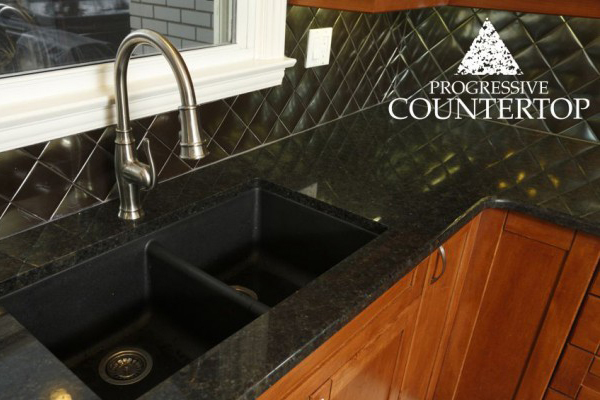 Just use soap & water! 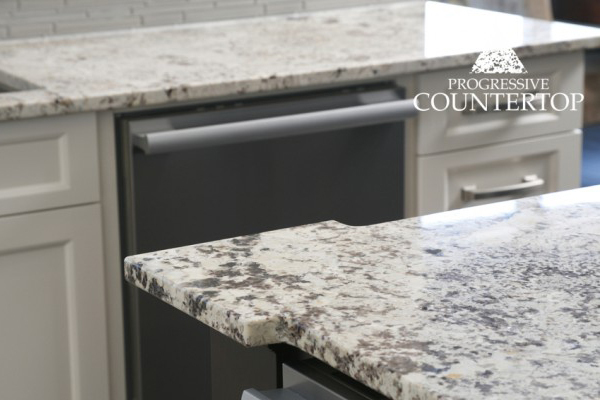 Because of their resiliency and durability, granite countertops can last for over 30 years. 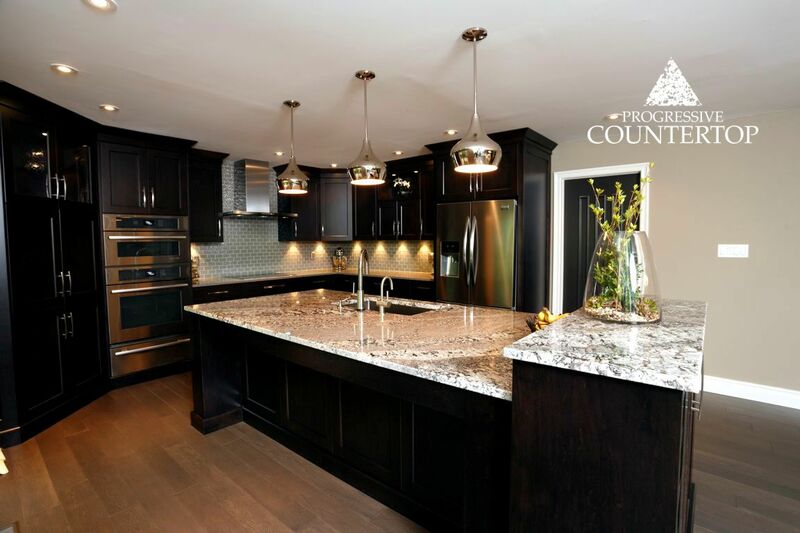 This kitchen is infused with luxury and character – this design rejects the monochromatic trend without sacrificing elegance or simplicity. 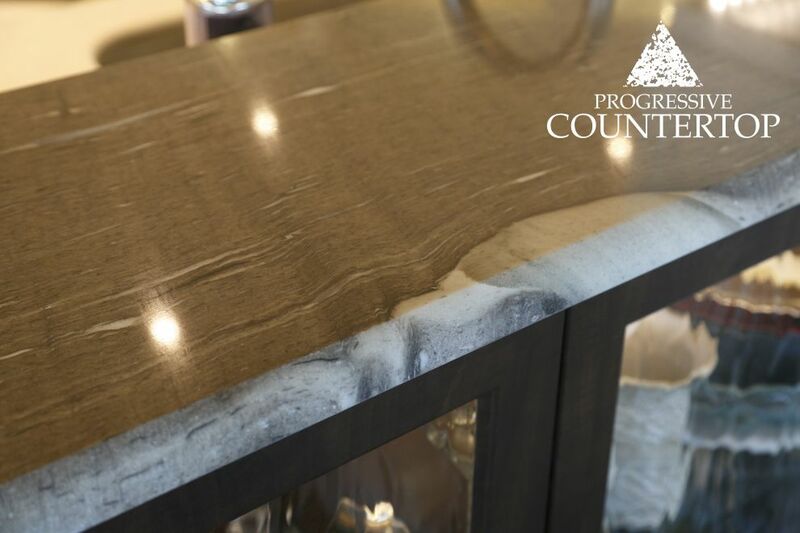 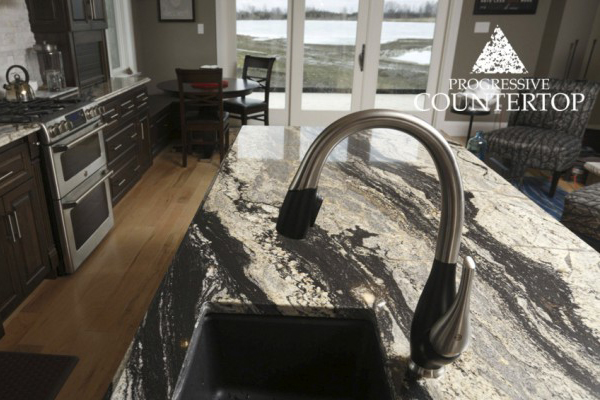 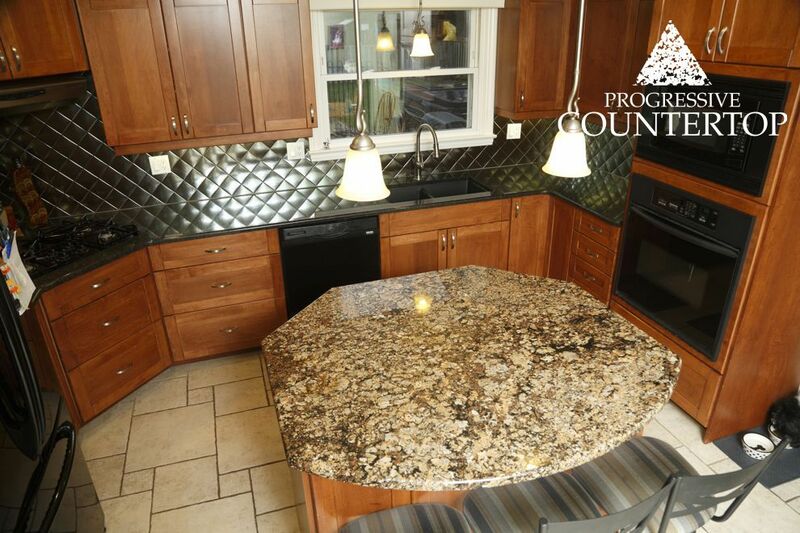 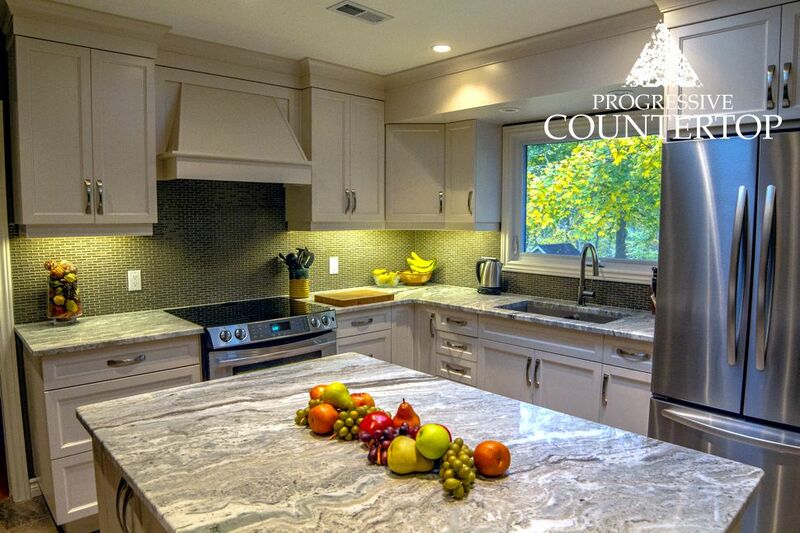 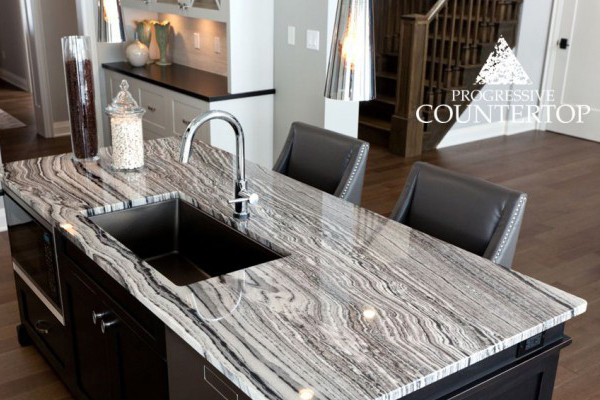 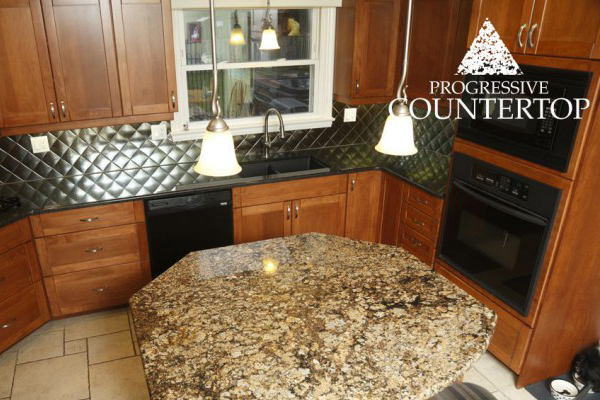 This natural Cygnus granite counter from Progressive Countertop has plenty of texture, nuance and shine. 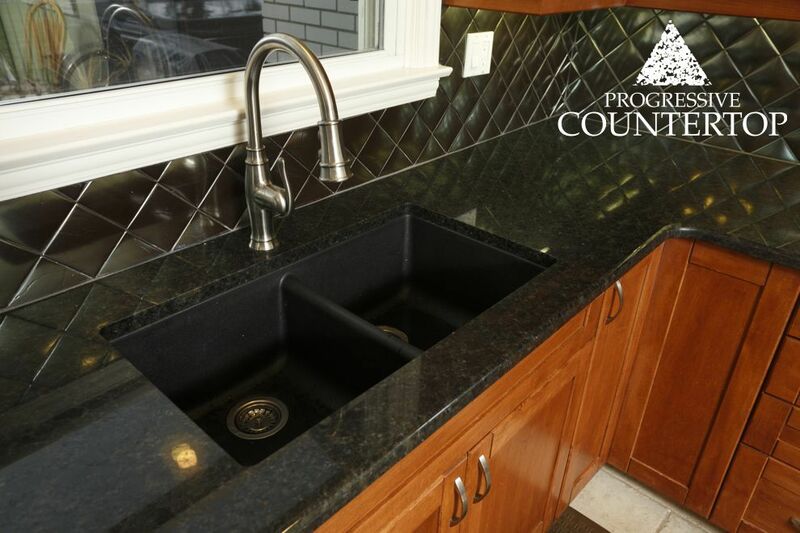 This Silver Supreme Granite island by Progressive Countertop is complete with a beautiful under mount sink. We love the flowing lines in this Maui Granite kitchen island from Progressive Countertop. 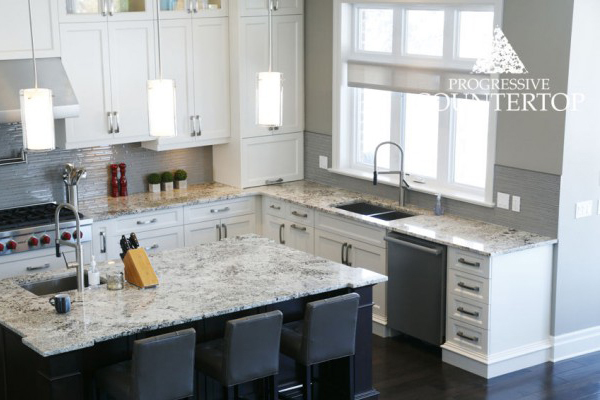 Alaska White Granite counter tops and kitchen island by Progressive Countertop. 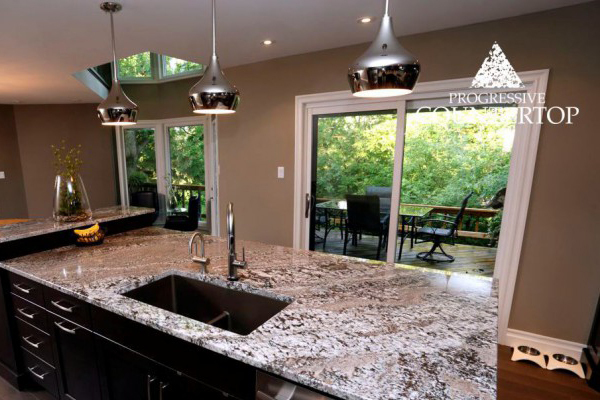 The natural beauty of Progressive Countertop’s Lennon Granite is complemented by the trees and greenery outside this kitchen’s large windows. 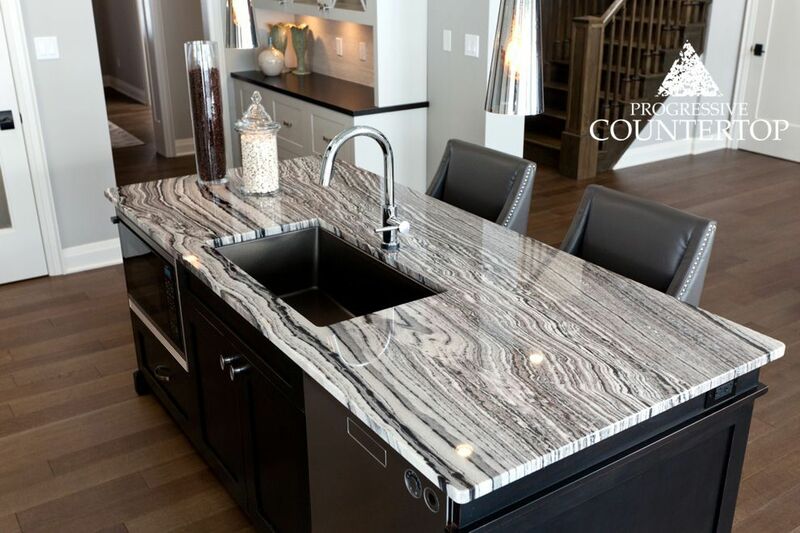 This design by Wilf from Dynamic Designs features Progressive Countertop’s Coarse Pepper Quartz and Lennon Granite in a sleek, contemporary style. 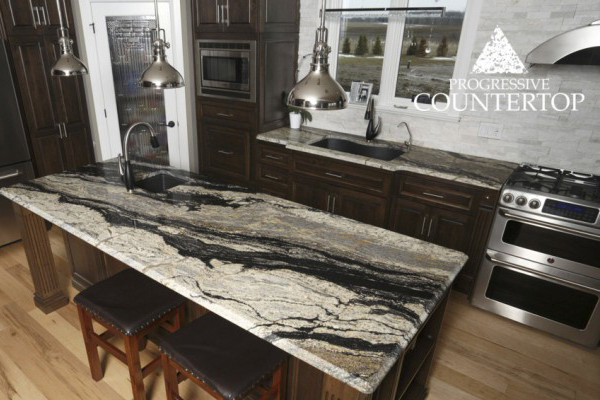 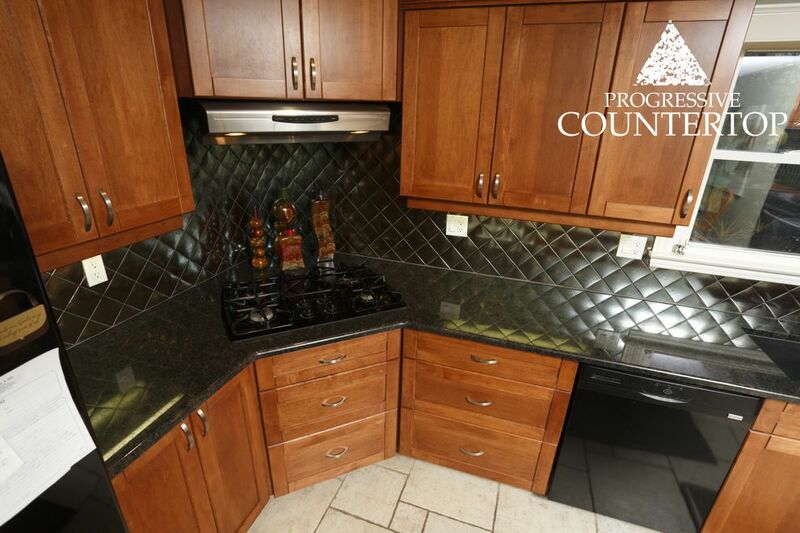 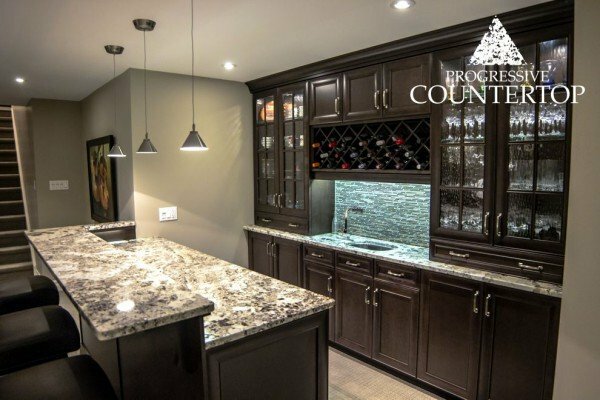 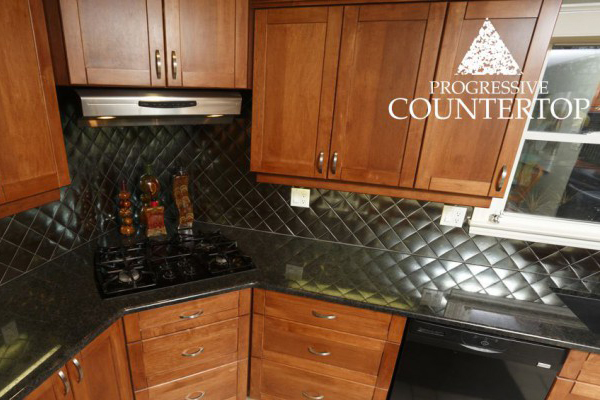 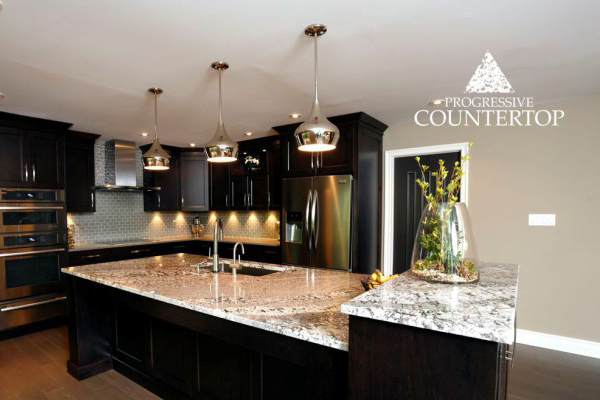 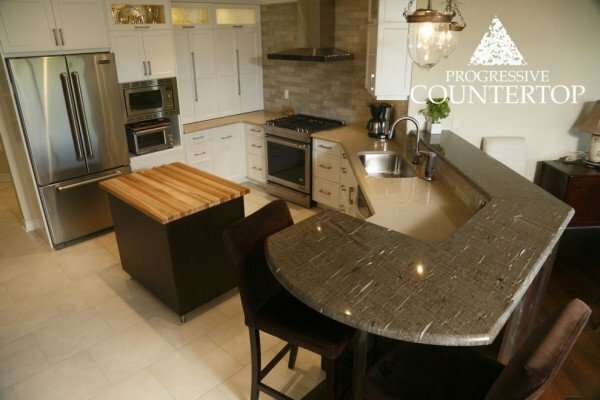 The rich and eye-catching counter tops shown here are Suede Brown granite from Progressive Countertop. 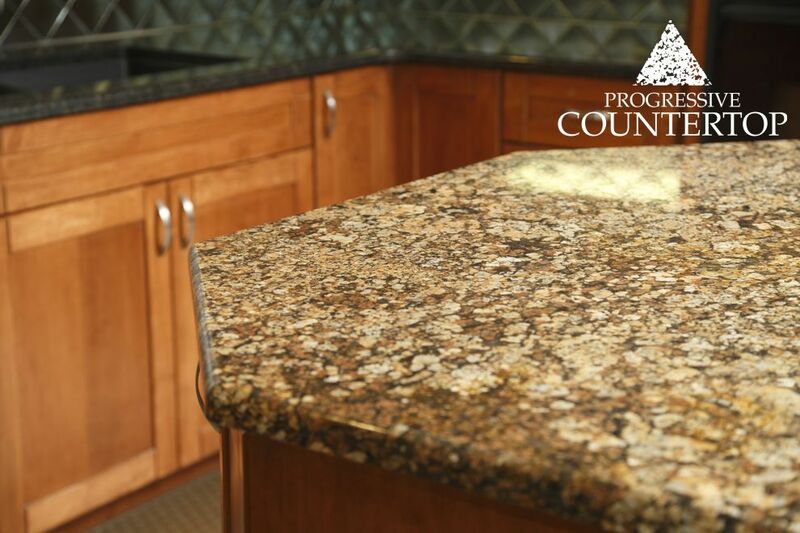 A close up showing Coral Gold granite in a classic yet modern kitchen combo. 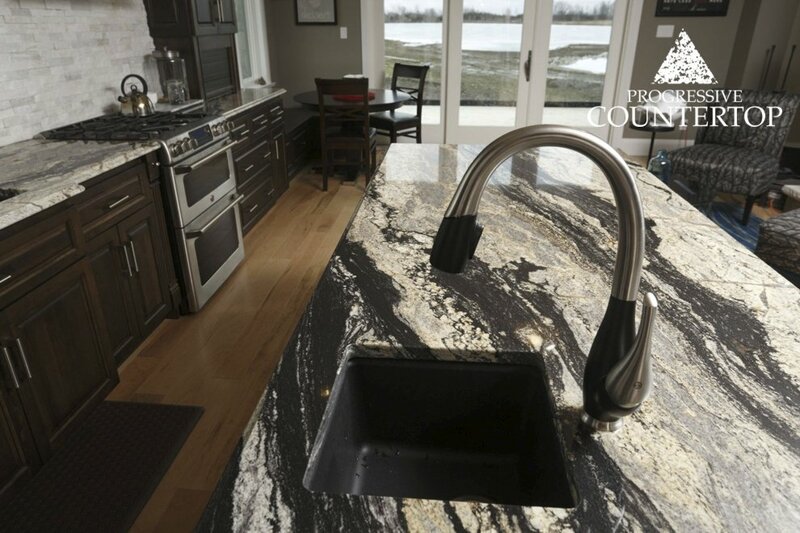 Displayed here is Suede Brown granite on the perimeter counters with an under mount graphite sink. 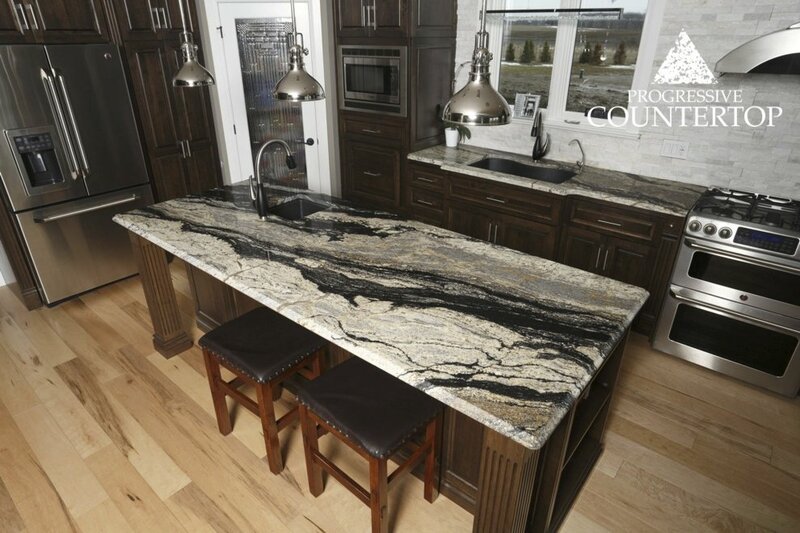 This granite combination of two different stones is a great example of how to pair a vibrant design with a softer one. 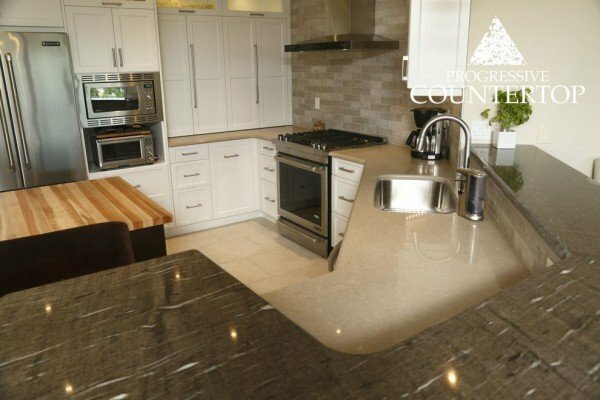 Coral Gold and Suede Brown granite was used.